The Côtes de Bordeaux region is a narrow strip, 60 km long and 5 km wide, on the right bank of the Garonne. Perched above the river and covered in vineyards and woods, the hills and valleys of the Côtes de Bordeaux provide some of the most beautiful scenery in the entire Bordeaux region. Burdigala, as ancient Bordeaux was known, was a port surrounded by marshland. 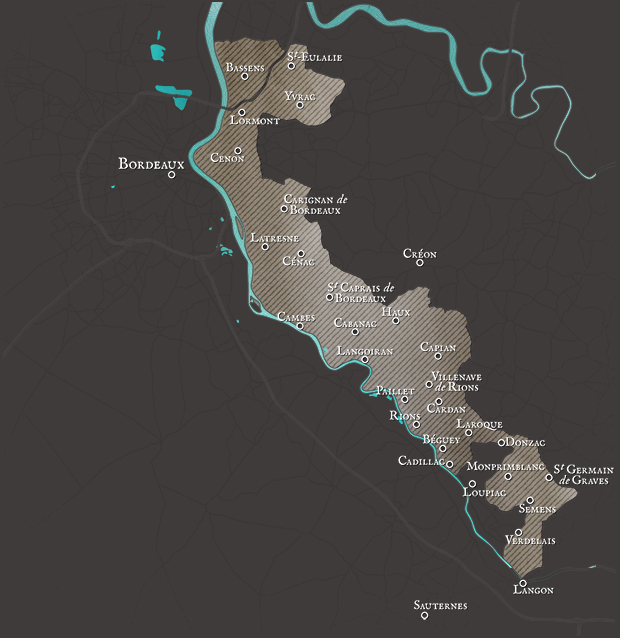 Romans, who already had a long tradition of vine-growing, planted vines on the driest lands and those best placed for the evening sun: the slopes of the Garonne valley. Thanks to its proximity to Bordeaux, the nobles and bourgeois of the city chose to build their country residences, or “follies” in this region.